On the way of Documentation, today i've desired to post on Installation Qualification document, which is something which comes next to Design Qualification, Simply called as IQ. And Before going on into full flow, you need to know the basics like what is Installation Qualification, and why it is useful, now i'll complete this demo in simple lines. What is IQ and what is its purpose ? 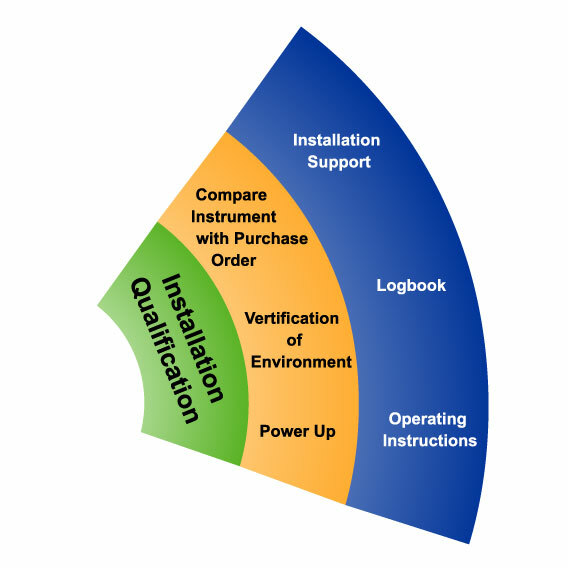 The Installation Qualification Protocol verifies the proper installation and configuration of a System. This can include ensuring that necessary installations have been loaded, equipment has been installed, the necessary procedures have been approved, or the appropriate personnel have been trained. The requirements to properly install the system were defined in the Design Specification. Installation Qualification must be performed before completing the Operational Qualification or Performance Qualification. So, Now i'll simply tell you what are the major steps in this Qualification protocol below. This Column includes the follwing. Verify that major components are securely fixed. Required electric connections are tight, weather proof and earthed. Verify that the equipment is installed and leveled properly on the floor. This is just to verify all the measurements and capacities of the components installed were upto the URS or not. Like nozzles sizes, MOC, and their senstivities, and whether they were working or not as per protocol......! (1). Critical (C) – The instruments whose performance will directly affect the quality attributes of the processed material. (2). Monitor (M) – The instruments whose performance failure would not affect product quality and which are used for process control. Corrective Actions taken and Date Signed. Finally the document to be given a conclusion and it should approved by respective department heads........ That's it.......Cheers !!! This is best of my knowledge, and if anything is missing then comment below.......!! !